Ever try on PVC clothing and stand there wondering if this is really the look you’re going for? Welcome to the club. The shiny and translucent take on vinyl is a hard one to break into (regarding thinking it doesn’t look like you’re wearing a raincoat), but the reality is, it is here to stay, and we’re just going to have to get on the PVC bandwaggon. Chanel proved this on their spring 2018 runway which was covered in plastic, and not just for the clothes. 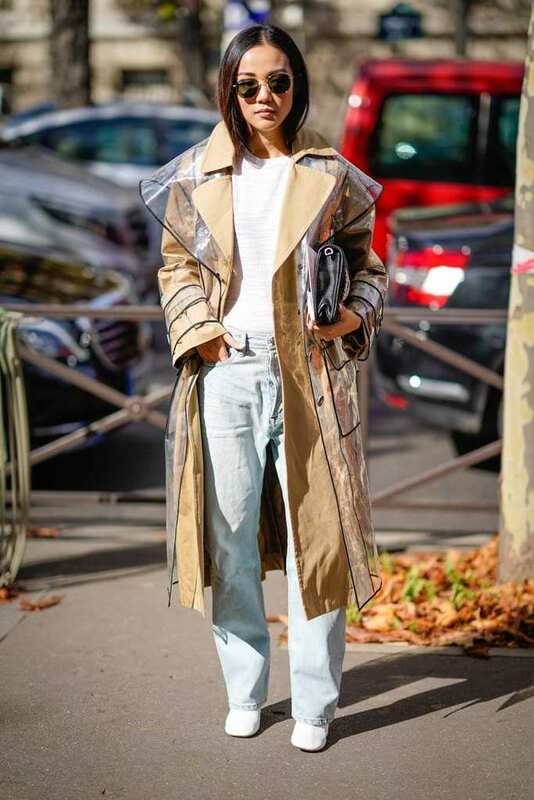 The shoes and bags are more commonly catching up with the PVC trend, and many of the stars are wearing clear coats on the street. If you’re hoping to transition into being a PVC favorite, then it is best to start with a sleek boot, or a see-through clutch to accessorize with your outfit. Once you try this, you may find that more and more you are steering towards those PVC outfits you once thought you would never dare to buy. Here is a rundown on how to wear PVC. Going for the slitted PVC pants not only gives your outfit a fashion flair, but it also draws just as much attention to your shoes if you wish to show them off at the same time. Wishing to rock the clear PVC jacket, coordinate it with a white tee and jeans to keep things simple underneath. PVC boots go perfectly with a mini dress, where the knee-high boot stops the same place as the dress. To keep your look more ladylike, add slingbacks to achieve the full effect. Achieve the Chanel runway look by adding tweed and pearls, which also add an element of class and sophistication. Once you’re committed to the trend, style your plaid PVC trench with PVC over-the-knee boots for the ultimate look. Are Tiny Handbags The Biggest New Trend In Fashion? TheFashionBall is dedicated to giving you your daily dose of fashion trends, news and inspiration for all occasions. © TheFashionBall. All rights reserved.